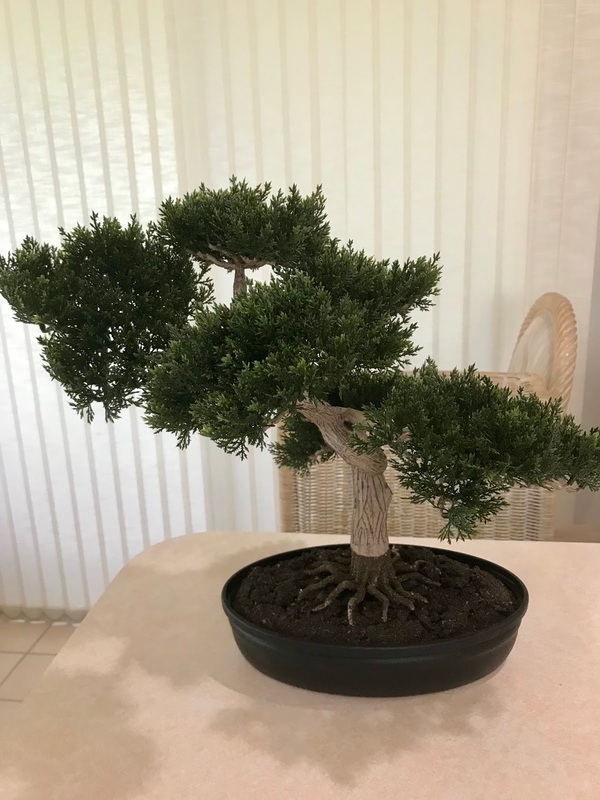 My hubby loves bonsai trees and had always wanted one so when commercialsilk.com reached out to me I was very excited to get one for him even if it was an artificial. 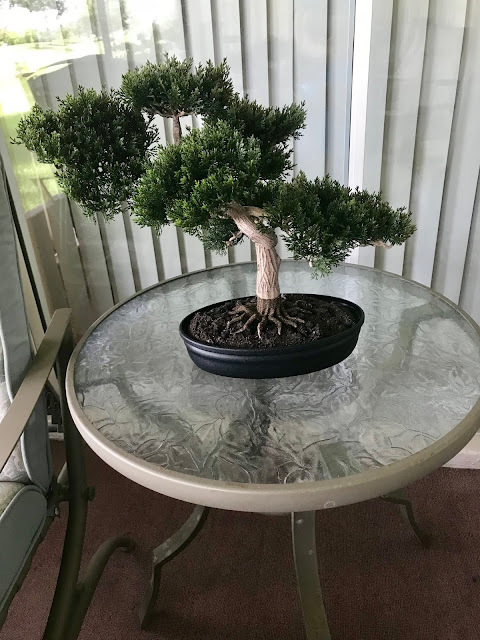 This 16 inch potted cedar bonsai tree retails for $77.99 dollars and is made of durable quality plastic . The dirt looks real too and the best part, no need to water this tree so it will never die only get dusty but maintenance is super easy with a moist cloth. This is great because I don’t know how to care for plants but this one will last a very long time. 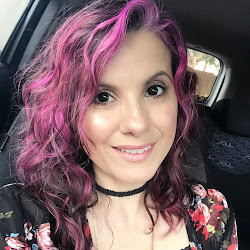 It looks very real from a far and it displays beautifully on the table in the foyer, on the kitchen table sunroom or counter but I really like how it looks in the foyer and it catches all my guests’ eyes when they step in the house. You can get this beautiful faux bonsai here and if you use my code at checkout blogger10 you will get 10% off or any other plant you choose except for custom.